Wollongong Harbour’s role is changing, as it increasingly becomes a destination to rest and play, as well as a traditional working harbour. The master planning process began in late 2017 and is nearing completion, thanks to the support and input of many local community groups and individuals. 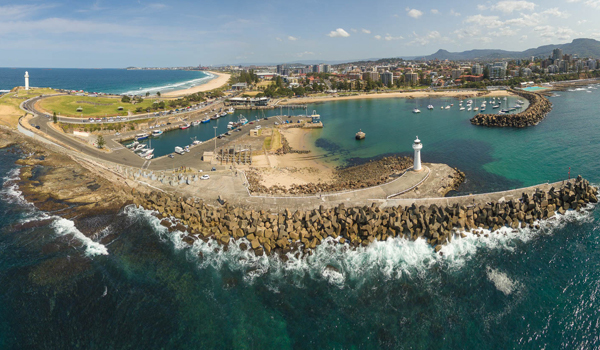 The purpose of the master plan is to provide a vision of possible opportunities within Wollongong Harbour consistent with its heritage, the current use of port facilities and services and the increased recreational activity occurring on the foreshore. An information session for the draft master plan will be held at 11.30 am to 1.30 pm and 4.00 pm to 6.00 pm on Thursday 9 August 2018 at the NSW Government offices, 84 Crown Street, Wollongong—Level 0, in the downstairs amenities room. Join the conversation and have your say on the Wollongong Harbour draft master plan by 31 August 2018.